Was Luther’s Bible the First German Language Bible? A German language Bible, authorized by “Good King Wenceslas,” predated Luther’s German translation of the Bible by over one hundred years. The story may sound familiar. 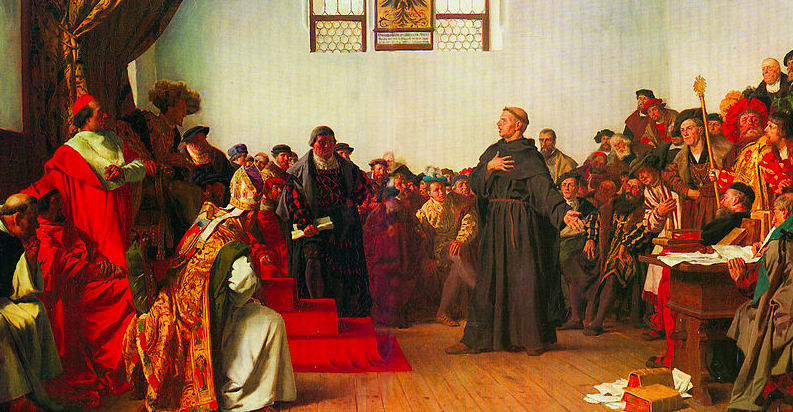 Martin Luther had been condemned as a heretic and traitor, after standing before the emperor, with his legendary, “Here I stand, I can do no other” speech, at the Diet of Worms, in 1521. He managed to leave Worms, only to be abducted by friendly supporters, and hidden in the Warburg Castle, for two years. There Luther, who had taken on the name of “George,” was able to complete his translation of the New Testament in German. Finally, the German people had a Bible, in their own language, in which they could read and study the truths contained in God’s Word…. or so, many people think. This narrative is based on the common, yet mistaken impression, that no vernacular Bibles existed in medieval Europe, prior to the Reformation. But the story is not quite that simple, and Martin Luther himself is partly to blame for this misinformation. As evangelical apologist and theological Alister McGrath writes, “no universal or absolute prohibition of the translation of scriptures into the vernacular was ever issued by a medieval pope or council, nor was any similar prohibition directed against the use of such translations by the clergy or laity.” (The Intellectual Origins of the European Reformation, p. 124). Rather, the difficulty was that the medieval church frowned upon unsupervised access to the Bible in native languages. Think of it like the challenge of making a small modification to a home in many localities in America today. Sure, you can add an extra small room to your house, but the process of getting a building permit, in some places, can be a real hassle. You originally thought that adding some lumber and drywall here and there would be no big deal. But after you have spent hours and hours, dealing with the building inspector, your homeowner’s association, etc., you begin to wonder, why bother with it? Just leave the house well enough alone! Likewise, in the medieval period, getting access to a German language translation of the Bible could be a real pain. Unlike outright bans to vernacular Bibles in England, that even there were not always successfully enforced, you could legally get access to a German Bible, but only if the church hierarchy approved of it. Plus, there was always the de facto Bible translation of medieval Europe, the Latin Vulgate, that you could read…. assuming you had some proficiency at Latin, which was relatively rare. The printing press revolution of using movable type changed the situation, in the decades prior to Luther’s first German New Testament. Texts like the famous Gutenberg Bible, though still in Latin, were becoming increasingly available. 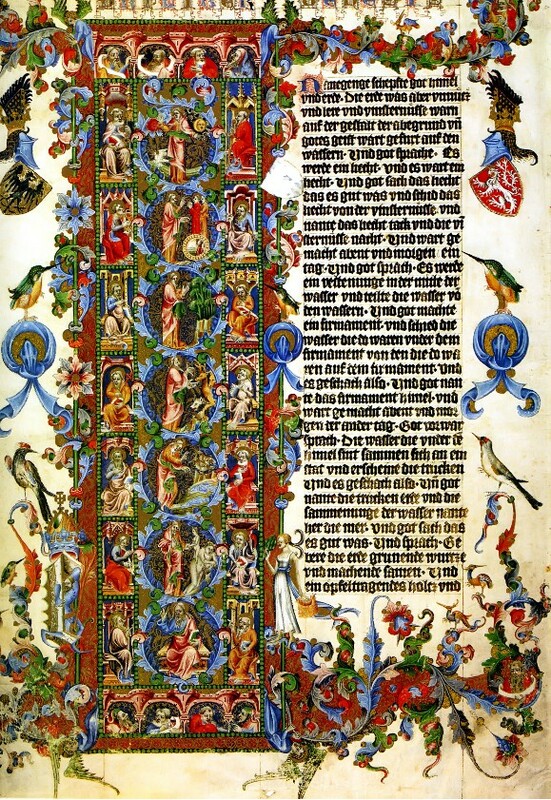 But some early German translations, such as the Wenceslas Bible of the 1390s, and the 1466 Mentelin Bible, were becoming more readily available, too. Some scholars say as many as 18 German translations of the Bible were available to German Christian readers before Luther. By the time Luther had finished his complete Bible, including the Old Testament, in 1534, Luther’s celebrity status had totally undercut the efforts of Rome to control “supervised” access to the German Bible. Furthermore, unlike previous German translations, that relied on translating from the Latin Vulgate to the vernacular German, Luther made use of new reference works, such as Erasmus’ Greek New Testament. Luther was able, to at least partly, translate the Bible from the original languages, such as Greek, directly into German. Luther’s campaign to “get back to the Bible,” in order to correct the contradictions of the papacy and church councils, is what generated a greater interest in reading vernacular Bibles. Luther’s “revolution” broke the default trust the average Christian had with papal and church authority, in medieval Europe. Instead, Luther encouraged Christians to read the Bible, and trust the Bible only as the authoritative source for Truth. As a result, the Reformation encouraged people to read and study the Bible for themselves, and they did so using newer, vernacular Bibles. It is this effort to appeal to the original languages and earlier texts, driven along by Martin Luther’s popularity as a public figure, that helped Luther’s Bible to essentially become THE Bible for many German-speaking Christians. Western civilization has not been the same since. For a rather contrarian take on Luther’s influence on the German language, and the priority of his translation, read this essay by the University of Alberta’s Albert C. Gow. A nice, 1-minute summary of Luther’s impact, through his translation of the Bible into German, is given here, in this video by the Museum of the Bible. Diarmaid MacCulloch’s The Reformation is my top pick for understanding the Reformation of the 16th and 17th centuries, but requires solid intellectual investment to benefit the most from it. I am just finishing teaching an Adult Bible Class on the Protestant Reformation, this fall, commemorating the 500th anniversary of Martin Luther’s Ninety-Nine Theses. 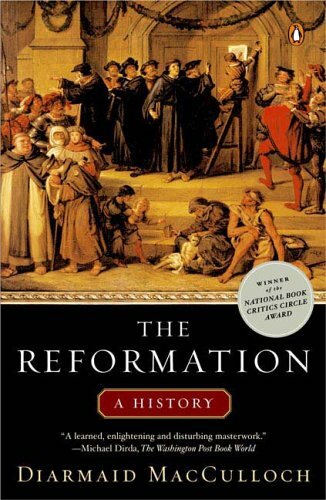 As a way to round out the class, I thought I would share some books and other resources I have found helpful in learning about the Protestant Reformation…. all for your Christmas reading. There are a ton of good books out there now on Martin Luther, particularly in view of the 500th anniversary. The classic book I really like is still Roland Bainton’s Here I Stand, though in some respects, it is becoming dated. However, it makes for a perfect audiobook, for a long drive in the car. The most accessible book for evangelicals, that I would recommend, is going to be Eric Metaxas’ Martin Luther: The Man Who Rediscovered God and Changed the World. Metaxas is a very, very entertaining and cheerful writer, and you will learn a lot from him, but there is some caution. Having read his book on Bonhoeffer, and read some parts of If You Can Keep It (that I reviewed last year on Veracity, a review that was oddly controversial to some), it is clear that Eric Metaxas is a popularizer of scholarship, but not really a scholar in these areas himself. To his credit, Metaxas has admitted that much. Metaxas’ occasional mishandling of some facts here and there can be aggravating to those who know a subject fairly well. On the other hand, it is possible that Metaxas has made a better effort here with Luther, than in his previous volumes. The sheer pleasure of reading Metaxas will make up for any nitpicking errors. I would not want to take away from those who really enjoy Eric Metaxas, but if you are really looking for a serious work of scholarship, that is still very readable, many historians in the field prefer one of Martin Marty’s books, like October 31, 1517: Martin Luther and the Day that Changed the World, or Lyndal Roper’s Martin Luther: Renegade and Prophet. 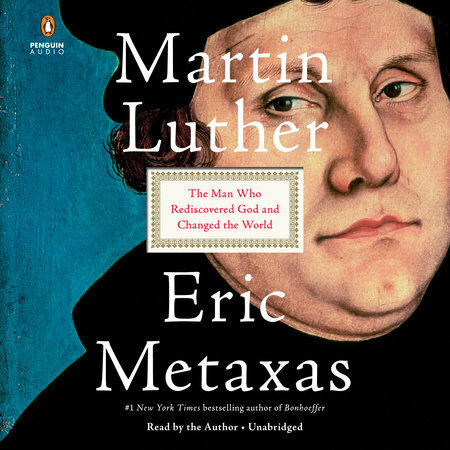 If I was reading about Luther (or the Reformation, in general) for the first time, I would start with Metaxas first, to really get into it, as with an audiobook. Then, go for either Bainton, Marty, or Roper, for the print or Kindle versions, to explore in-depth, and to correct any errors made by Metaxas. Another old classic I read this year, having extensive excerpts from Luther’s writings, is Preserved Smith’s The Life and Letters of Martin Luther. For recommended newer titles, I have also heard good things about Andrew Pettegree’s Brand Luther,as well as Herman Selderhuis’ Martin Luther: A Spiritual Biography (Christianity Today magazine awarded Selderhuis with a Book of Year Award for 2018, in History/Biography). The next Reformation audiobook I hope to listen to is written from a Roman Catholic point of view, by a scholar at Notre Dame, Brad S. Gregory’s Rebel in the Ranks: Martin Luther, the Reformation, and the Conflicts That Continue to Shape Our World. For the “number two man” of the Reformation, John Calvin, I have enjoyed reading the French historian, Bernard Cottret’s Calvin: A Biography. Cottret gives you a genuine flavor of Calvin, the man, warts and all. My only regret with Cottret is that he did not get into the theological and exegetical issues that Calvin faced, in doing his work, as much as I would have liked. To get a comprehensive overview of the theology of the Reformation, in general, there is no better resource than Alister McGrath’s Reformation Thought: An Introduction. McGrath knows his stuff, and communicates ideas really well. Just be sure to get the Fourth Edition. I read McGrath’s book for the second time this year (but as an audiobook), and everything just seemed to make sense. 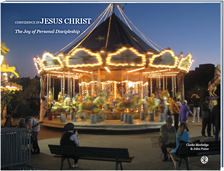 McGrath covers everything from Luther, to Zwingli, to Calvin, to the English Reformation, to the Catholic Reformation. Superb. However, the cream of the crop when it comes to grappling with the Reformation, as a whole, is Diarmaid MacCulloch’s The Reformation. The man is a rock star. Comprehensive. Thorough. Authoritative. Provocative. Entertaining. Engaging. It is all there. From the 16th to 17th centuries, he really packs it in at 884 pages. It took me almost a year to listen to it as an audiobook, to take it all in. My only caveat with MacCulloch is that he leans sorely to the left theologically, having publicly professed being a gay man, and has sadly felt like he has been treated badly at times by the church. There are little sarcastic jabs here and there where you can feel the sting. But I would not let that deter those who persevere with MacCulloch, as he dearly loves his subject, so a critical reader will be abundantly well-rewarded for making an investment in MacCulloch. As a type of addendum, Diarmaid MacCulloch compiled a series of book reviews and essays, All Things Made New: The Reformation and Its Legacy. You will learn bits and pieces of things normally skipped over by other treatments of the Reformation. It all creates a fascinating narrative, except that a couple of the essays tend to be rather tedious. MacCulloch is particularly strong on the English Reformation, being a Brit himself. Well, that should keep you busy this Christmas! Tomorrow, October 31, 2017, marks the 500th anniversary of the nailing of Martin Luther’s Ninety-Five Theses to a church door (Actually, Luther probably got the church janitor to do it, and he probably used glue and not nails, but that is another story…) So, what were the “Ninety-Five Theses,” anyway? Well, to tell the truth, the “nailing” of Luther’s document to the church door was no big deal, in and of itself. It was like stapling a poster up at a college bulletin board, or posting a message on Facebook. As a university theology professor, Luther wanted to hold a discussion with church leaders and other academic colleagues, coming up with 95 propositions for debate. Like most university academic discussions, such debates rarely, if ever, “go viral,” even today. Academics normally can not compete with ESPN. However, the big deal was what happened in the following four years, after Luther posted his theses. In Luther’s day, the Western church was riddled with corruption, and everybody knew it. Initially, Luther objected to the sale of indulgences, whereby church officials would urge people, who had no access to the Scriptures in their native language, to give money to the church, in exchange for lessening the punishments of loved ones, who were suffering in purgatory. In 1517, Luther still believed in the doctrine of purgatory itself, as acceptable Christian doctrine. “Why does not the pope empty purgatory for the sake of holy love and the dire need of the souls that are there if he redeems an infinite number of souls for the sake of miserable money with which to build a church? Here, Luther shows how he was influenced by Erasmus’ Greek edition of the New Testament, published just a year earlier, before Luther’s famous 1517 date. “Doing penance,” according to the Latin Vulgate translation of the Bible, is not the same thing as “repentance.” It was Luther’s study of the Scriptures that forced him to look at reality anew and afresh. And this is what rattled church leaders. Luther was hoping for an opportunity to express his views, and defend them. But he soon learned that certain church authorities, who benefited so much from corruption, refused to engage him in authentic debate. One of the few times Luther was allowed to debate his views, almost led to his undoing. At the Leipzig disputation in 1517, his brilliant opponent Johann Eck, forced Luther into a corner. Luther finally had to admit that he was calling into question the infallibility of the church, through its popes and councils. Now Luther was in trouble. The problem was that Luther’s ideas were starting to catch on with folks outside of the academic community, both among the nobility, and the peasant poor. Luther was a master of the new technology of the printing press, and he put it to use. Luther fought back. The church leadership simply could not tolerate such dissension. For if Luther would not be silenced, they were concerned that Luther would open the floodgates of false doctrines and heresy to proliferate, and destroy the unity of Christendom through schism. 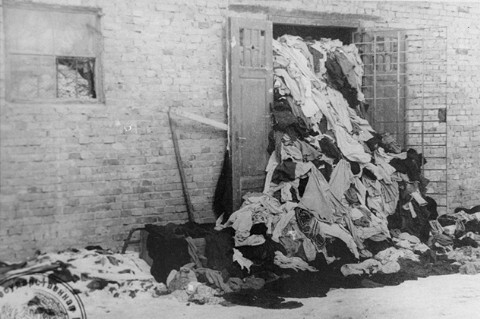 Their fears were not without some warrant. For church authorities, Luther had to be stopped. But Luther was held captive to the teaching of the Holy Scriptures. Luther was far from perfect, but he knew his cause to be just. To him, the very message of the Gospel of Jesus Christ was at stake. If he could be persuaded that he had erred, in interpreting the Bible, he was open to correction. But by the time of his grand appearance before the Holy Roman Emperor Charles V, at the Diet of Worms, in 1521, he had become convinced of the Bible’s teaching, of justification by faith alone, and salvation by grace alone. The church and world have never been the same since. Martin Luther is one of my theological heroes. But like any other fallen human, Luther was far, far from perfect. He was the Reformation’s chief champion of salvation by faith, and faith alone. But he also had a dark side… (NEWS FLASH)… just like you and me. As we remember the 500th anniversary of when this obscure monk, turned bible professor at a university in Wittenberg, famously nailed his Ninety-Five Theses to the church door, on Halloween, we mainly think of Luther’s attack on the abuses of the medieval Western church, a corrupt institution that instilled fear and anxiety among the people, and financially profited from such abuses. We also think of Luther’s famous stand for the Scriptures alone (sola scriptura), as the ultimate source of truth. I could go on with praises for Luther. We all owe an immense amount of gratitude to God for raising up a Martin Luther. Luther was also a man who enjoyed life. He enjoyed good food, and having a good time with friends and family. He was comparatively more jovial than his later Reformed counterpart in Geneva, John Calvin. You could count on having a fun night, out on the town, with Martin Luther. With John Calvin? Well, you would probably be in bed before 9pm. 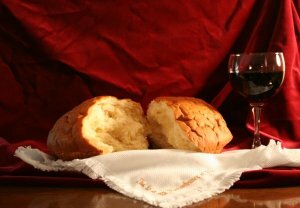 Luther preached a Gospel of grace, and grace alone…. and for the most part, he lived it. I am a Martin Luther guy.